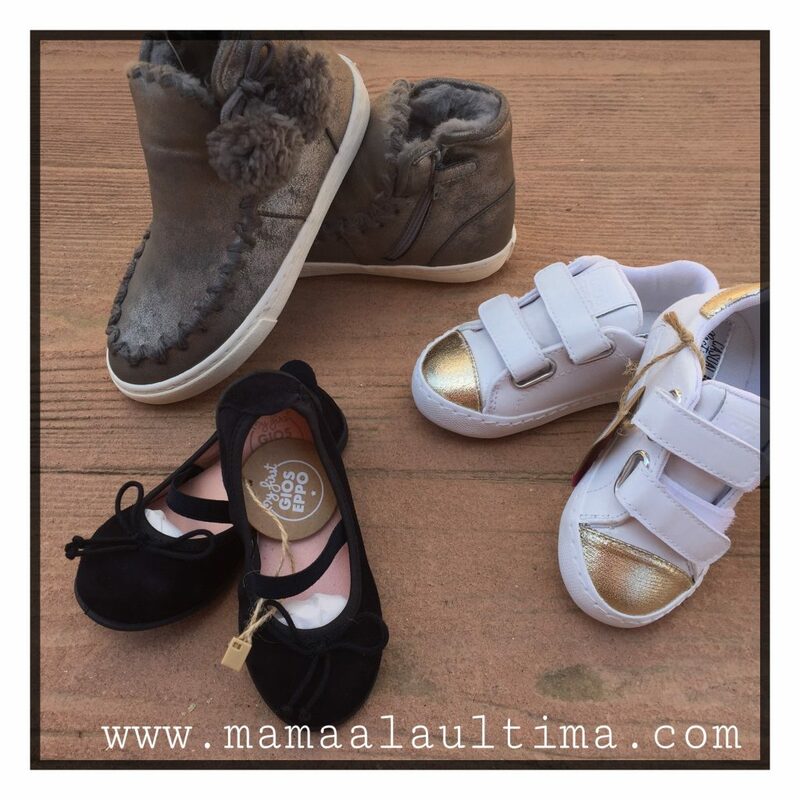 Ya me imagino que todos conocéis, la importancia de utilizar un buen calzado en los niños, sobre todo entre los 12 meses y los 3 años, etapa en la que el pie se está formando. Por ello desaconsejan que los zapatos se pasen a otro niño porque tienen marcada la forma de su anterior propietario. Según los podólogos es “aconsejable” que el calzado esté elaborado “con materiales naturales y flexibles que permitan la transpiración y la libertad de movimiento, que carezcan de costuras internas que causen roces, que presenten elementos de sujeción como velcros, hebillas o cordones”. Desde que leí aquello me conciencié de que si en algo tenía que invertir más del vestuario de mis hijas no era en vestidos monos, sino en un buen par de zapatos. La verdad es que esta norma también me la he impuesto yo y prefiero gastarme el dinero en firmas de calidad y, tener menos variedad, pero que no me estropeen los pies, ya que estamos todo el día de un lado para otro, y el pie lo sufre. Una de las marcas en las que he confiado como madre ha sido Gioseppo, una firma española, ejemplo de la calidad que distingue al sector del calzado hecho y que goza de gran prestigio internacional . La calidad de sus materiales es una de las características de la firma: piel, pelo, leopardo aterciopelado, borreguillo, acolchados y lana. Os muestro los productos que seleccione para las peques. Además cuentan con tienda online propia, con un montón de referencias de la nueva colección. La entrega es en un máximo de 48 horas (días laborables) y tienen envío gratis a partir de 50 euros. Ahora que la vuelta al cole está cerca, aprovecha y visita su web. by admin•26 comentarios en LA IMPORTANCIA DE CALZAR BIEN A NUESTROS HIJOS. Aunque lógicamente conozco Gioseppo no la he usado. A mi me gustan mucho!! Yo siempre les compro zapatos buenos a los niños con esto no regateo quiero que vayan comodos y no les hagan daño los zapatos, es algo muy importante. Hi, i think that i saw you visited my weblog so i got here to “return the favor”.I am trying to to find things to enhance my website!I suppose its adequate to use some of your concepts!! Hello, I am truly happy I came across your site, I actually encountered you by accident, when I was searching on Google for mobdro for windows. Anyhow I am here now and would really like to say many thanks for a marvelous write-up and the all-round enjoyable site (I likewise love the design), I don’t have time to browse it completely at the moment but I have book-marked it and moreover included your RSS feeds, so once I have plenty of time I’ll be returning to go through a lot more. Please do maintain the superb work. Thank you for discussing this, I saved this webpage. I’m furthermore seeking details on hospital malpractice lawyers, are you aware exactly where I can find one thing like this? I’ll come back in a little while! Appreciating the time and effort you put into your blog and in depth info you present. It’s great to find a blogging site once in a while which is not the similar out of date rehashed material. Wonderful read! We have bookmarked your site and I’m including the RSS feeds to my own omega xl best price page. Thanks for writing this info, I saved this webpage. I am also struggling to find material regarding phone tracker, are you aware where I might find one thing such as this? I’ll return in a little while! hey there and thank you for your info – I’ve definitely picked up something new from right here. I did however expertise some technical points using this web site, as I experienced to reload the web site lots of times previous to I could get it to load correctly. I had been wondering if your web host is OK? Not that I’m complaining, but sluggish loading instances times will often affect your placement in google and can damage your high quality score if advertising and marketing with Adwords. Anyway I’m adding this RSS to my e-mail and could look out for much more of your respective intriguing content. Ensure that you update this again very soon.. I have read a few good stuff here. Certainly worth bookmarking for revisiting. I surprise how much effort you put to create such a magnificent informative web site. You made some decent points there. I regarded on the web for the difficulty and found most individuals will associate with with your website. Howdy! This is my first comment on your website so I just wanted to give a quick hello and tell you I genuinely enjoy reading through your posts. Can you suggest other sites which cover dirty pick up lines? I’m as well very intrigued by this! Thanks a ton! Let me know if you’re looking for a article author for your blog. You have some really great articles and I feel I would be a good asset. If you ever want to take some of the load off, I’d absolutely love to write some content for your blog in exchange for a link back to mine. Please send me an email if interested. Many thanks! You’re totally correct, I would really like to find out more on that subject! I am also captivated by upvc windows because I think it is really quite trendy in these days. Keep doing this! It’s the best time to make some plans for the long run and it is time to be happy. I’ve read this publish and if I could I wish to recommend you some interesting things or tips. Maybe you could write subsequent articles referring to this article. I wish to read even more things about it!